Brenda Child, department chair and a professor of American studies and American Indian studies in the College of Liberal Arts at the University of Minnesota, will "Jingle Dress Dancers in the Modern World" as part of the Center for Western Lands and Peoples’ Perspectives on the American West Lecture Series. This year marks the 100th anniversary of a new healing tradition for the Ojibwe people — the Jingle Dress Dance. Brenda J. Child (Red Lake Ojibwe) will discuss the history of the tradition, why it emerged in 1918-1919 and the reasons for its proliferation across Indian Country. The dance has a significant place in modern American Indian life, in addition to being part of tradition and history. Brenda J. Child is Northrop Professor and Chair of the Department of American Studies at the University of Minnesota, and former Chair of the Department of American Indian Studies. She is the author of several books in American Indian history, including Boarding School Seasons: American Indian Families, 1900-1940 (1998), which won the North American Indian Prose Award; Holding Our World Together: Ojibwe Women and the Survival of Community (2012); Indian Subjects: Hemispheric Perspectives on the History of Indigenous Education (with Brian Klopotek, 2014). Her 2014 book My Grandfather’s Knocking Sticks: Ojibwe Family Life and Labor on the Reservation won the American Indian Book Award and the Best Book in Midwestern History Award. 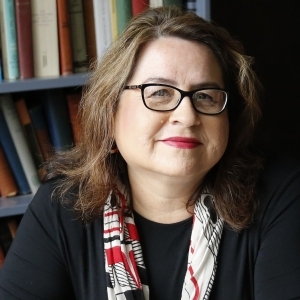 She is a member of the Board of Trustees of the National Museum of the American Indian-Smithsonian and past-president of the Native American and Indigenous Studies Association. Child was born on the Red Lake Ojibwe Reservation in northern Minnesota where she is a member of a committee writing a new constitution for the 12,000 member nation. Child's talk will be followed by a reception in the lobby of the Museum of the Rockies. The American West lecture series features experts from around the country discussing the history, literature and culture of the West; issues affecting the wildlife and fisheries of the region; and the West’s geography, geology and resources. The series is co-sponsored by the Burton K. Wheeler Center and is a program of the Center for Western Lands and Peoples, an interdisciplinary research center within the College of Letters and Science that is focused on the places and peoples of the Western United States and Canada.